The Twilight Zone episode “The Eye of the Beholder” is one of the greatest TV episodes of all time. And now you can own a piece of sci-fi TV history from this legendary show, provided you’ve got $10,000 (£7,667) burning a hole in your pocket. 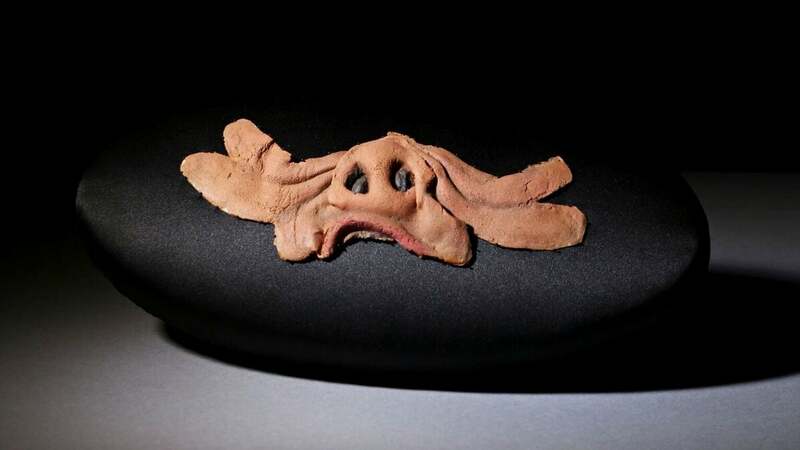 An original pig-nose mask from the episode is going up for auction next month. Prop Store, a film and TV memorabilia company, is auctioning off the pig nose prosthetic on 1 December 2018 from the collection of James Comisar, a famous collector of TV props. Comisar acquired the piece of Twilight Zone history from Forrest J. Ackerman, the magazine editor and sci-fi literary agent who represented everyone from Ray Bradbury to Isaac Asimov. Ackerman died in 2008 at the age of 92. The pig nose prosthetic is “made of a thin foam latex and has been professionally conserved by the Los Angeles County Museum of Art,” Jeff Abraham, Prop Store’s PR person, told Gizmodo. The appliance was constructed by makeup artist William Tuttle who worked on films like Forbidden Planet (1956), Logan’s Run (1976), and The Time Machine (1960). “The Eye of the Beholder” originally aired on CBS on 11 November 1960 and Tuttle reportedly repurposed some of the masks from The Time Machine for the Twilight Zone episode. You can see the resemblance of the unnamed Twilight Zone pig-people to some of the Morlocks from that adaptation of the classic H.G. Wells story. But this prosthetic isn’t the only thing that’s going up for auction on 1 December. Other notable items in the auction include Uncle Martin’s 10-foot spaceship from My Favorite Martian (1963-1966), which is expected to fetch over $80,000 (£61,336), and the Grecian toga that was worn by Captain Kirk in the 1968 TV version of Star Trek while kissing Lieutenant Uhura. That toga is expected to go for over $60,000 (£46,002).